The parish of Wraxall with Failand is a member of CTINAD. c) commits us, in obedience to God's will and in the power of the Holy Spirit, to seek a deepening of our communion with Christ and with one another in the church, which is his body, and to fulfil our mission to proclaim the Gospel by common witness and service in the world, to the glory of one God; Father, Son and Holy Spirit. d) supporting one another's work in mutual trust and co-operation. Our parish is part of the CONNECT project which serves the local school community in Nailsea. 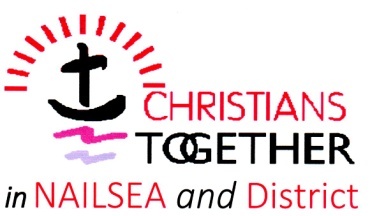 We have a Christian youth worker, Neil Wylie, at Nailsea School who is making an important impact in that community working alongside staff and pupils. A monthly diary is produced advertising those events across are churches that may be of interest to everyone.